As I discussed in my post on cirrhosis of the liver, my mom suffered with swollen feet, ankles and legs from early on in her disease process. In fact, swollen feet (edema) is extremely common among many diseases, including heart and kidney disease. It can also be caused venous insufficiency (poor circulation), blood clots, and many different kinds of medication. If you are reading this and you or a loved one has developed chronic edema, please make sure this addressed by a physician. As my mom’s feet and ankles became more swollen, she was unable to wear most of her shoes. She had a pair of favorite slippers, which she wore every day at home; they were big, loose slippers, but they offered no stability and could easily come off. She also wore a pair of running shoes, which she wore tied very loosely when she went out. It was difficult for her to bend and move, so my dad helped her put on and tie up her shoes whenever she needed to leave the house. My dad has a sore back, so this was an additional strain. Eventually, the laces of the running shoes could not be tied at all, and it very uncomfortable for Mom to squeeze her swollen feet into them, even with the laces spread open. 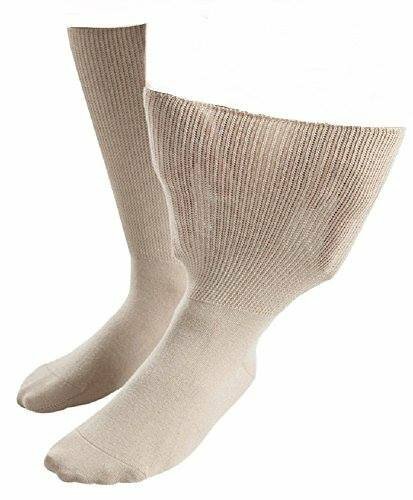 When she was admitted to the hospital, she was offered long socks with grips; but they only had one size, and were not meant for legs and feet which were so swollen and sore. It was almost impossible for my dad to put them on her, and they were just too tight. The hospital also offered her some disposable adjustable slippers, but they were so flimsy and difficult to adjust that they were completely useless. Mom could not stand to wear the hospital grip socks or the flimsy disposable slippers, so she wore her old big slippers from home most of the time. They were not really safe because they did not fit properly and offered no support, but it was all she had. The slippers were more of a hindrance than anything as she shuffled to the bathroom and around the ward with her walker. I can remember family members commenting and asking if she was okay walking in those, but no one had any immediate better solutions. 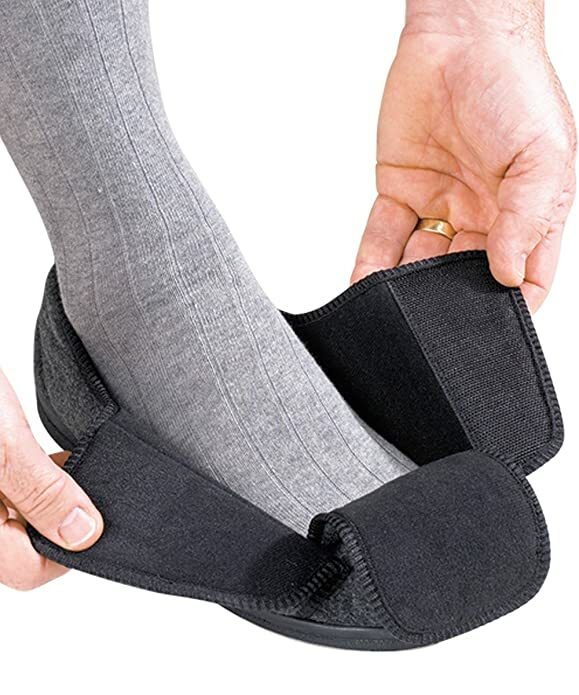 In my research of products to help make life easier when suffering with symptoms of serious illness, I came across specialized footwear for people who have edema or who have difficulty doing up laces due to other issues such as painful joints. I wish I had thought to investigate these products when my mom needed them, but there was so much going on, and so many other immediate needs, that it just never occurred to me. I see now in hindsight, that special slippers and shoes would have really made a difference for both my parents at that time. If your loved one can’t fit into their regular shoes, or has difficulty tying laces (or has to ask someone else to help them with their shoes all the time), it would be a good idea to look at some footwear designed for this purpose. 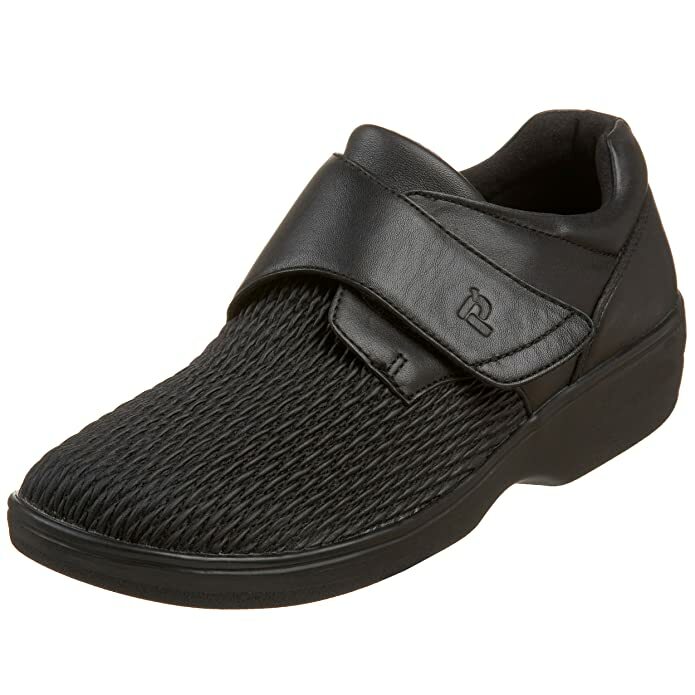 There are special shoes and slippers with VELCRO® strap brand closures that can help make swollen feet feel better. 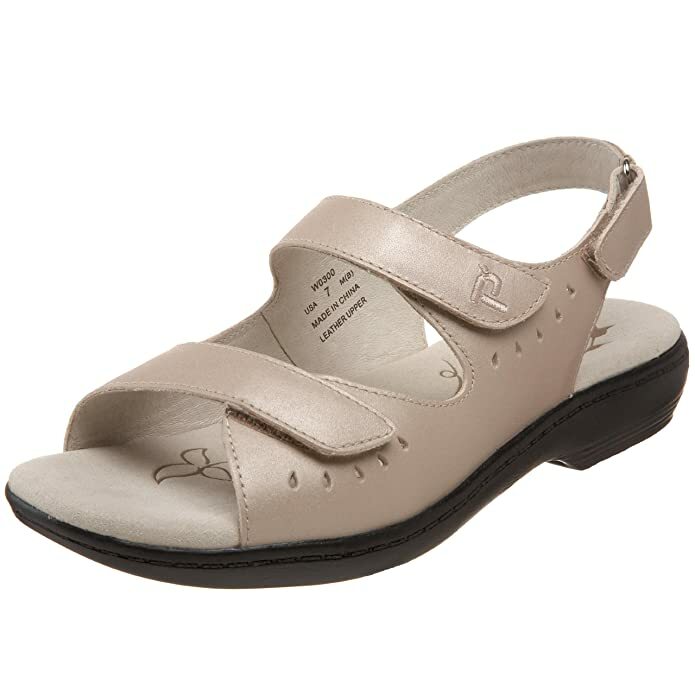 These shoes and slipper can be put on easily and adjusted to the foot width to accommodate swelling. 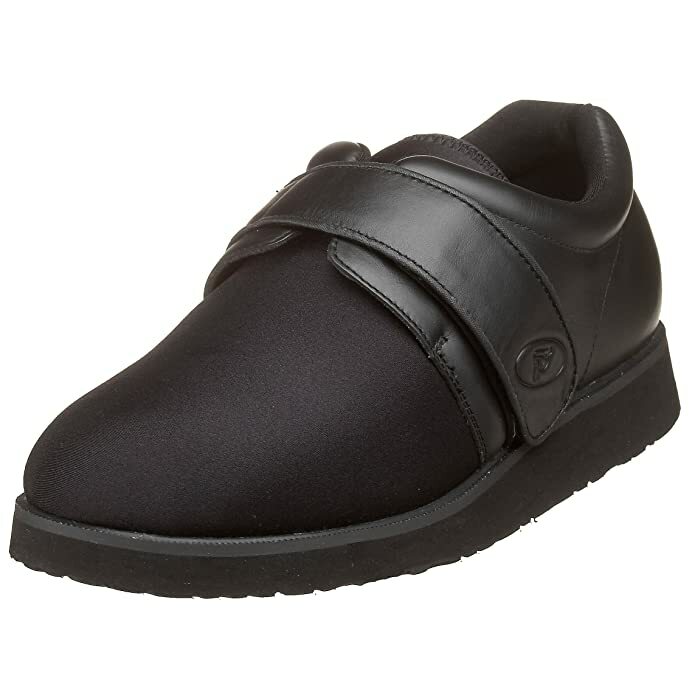 Many of them also have non-slip or non-skid soles to help prevent accidental falls and injuries. I highly recommend considering purchasing a pair of slippers and a couple pair of shoes that will fit, support and be easily adjusted. It may seem like a small thing, but I know from personal experience that it can make a big difference, in comfort and mobility for the patient and the convenience and peace of mind for the caregiver. 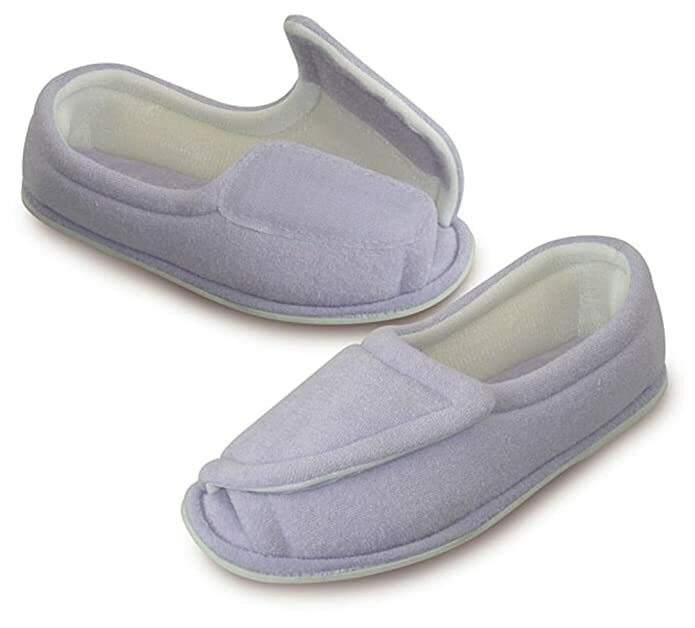 These slippers and shoes are available in a wide selection, in both women’s and men’s styles. 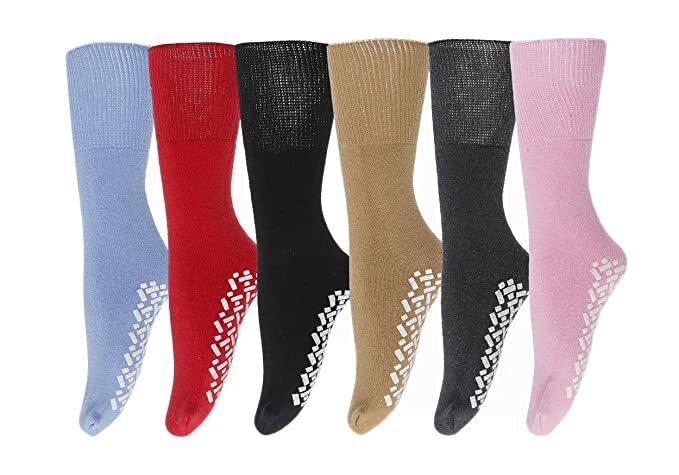 Also, if the task of putting on a sock is a chore, or it is impossible to find any that feel comfortable, consider a wider fitting non-constrictive hospital-style sock with grips. 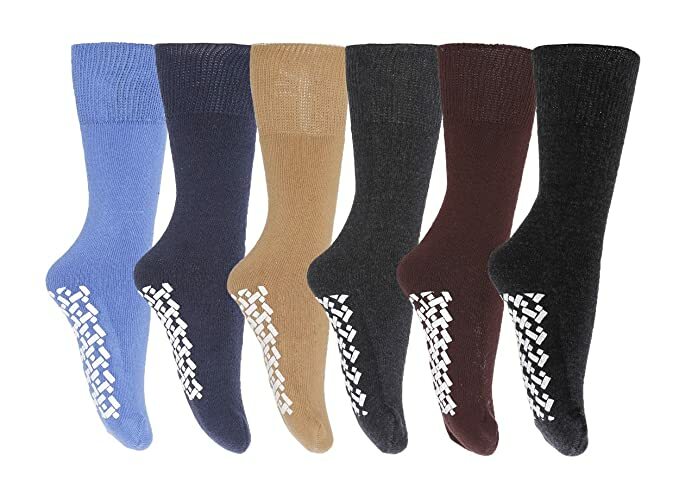 These socks can be put on with relative ease and offer traction for patients who need sip prevention. Thanks for visiting and reading … I hope this article provided some helpful ideas. I welcome your comments below.